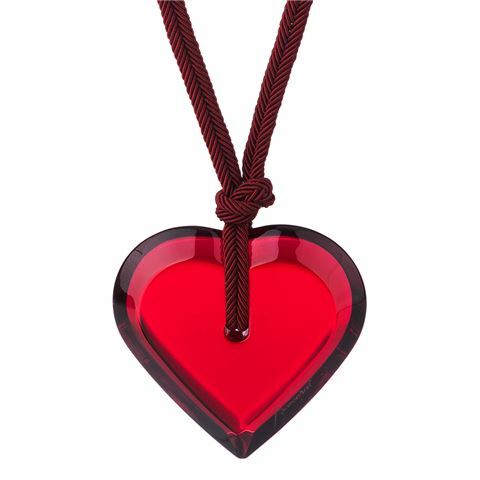 Heart-shaped pendant made from ruby crystal. The pendant is suspended from a woven burgundy cord with 18 karat gold accents. Cord ties around the neck of the wearer. Beautifully presented in a Baccarat gift box. Pendant Dimensions: 4cm (w) x 4cm (h).